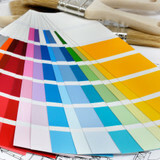 Dolan's Painting Inc. is a family operated business working for many years now. Our prices are very affordable and most important, we use the highest quality products available. We service residential and commercial clientele, and have received many referrals for our outstanding work. Some of our specialties include: Interior And Exterior Painting, Drywall Services, Faux Finishes, Power Washing, Spraying, Staining and Wallpaper Stripping to name a few! Eric began his painting career in 1989, doing restoration work on 200 year-old houses in Greencastle, Pennsylvania. His love of the outdoors led him to Yellowstone National Park in 1993, where he was employed as the painter in Canyon Village. After brief stints in Livingston and Bozeman, Eric settled down in Big Sky in 1996, and subsequently started E.L. Painting. What initially began as a seasonal operation – allowing for ample days on the snowboard and evenings driving snow cat- turned into a year round operation in 2001. Eric’s wife Lauren moved to Big Sky in 2001, upon completion of her undergraduate degree at Trinity Christian College and Western Washington University. Lauren became involved with E.L. Painting in 2003. Prior to having children, Lauren managed another business in Big Sky, and with the arrival of Cate in 2008, she became a full-time participant in the family business. 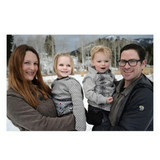 Eric and Lauren reside in Big Sky with daughter Cate and son Sydney. 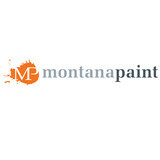 At Montana Paint, Inc. we have been painting under the Big Sky since 1999! Founders Chris and Patty Boyd attribute the company’s success to the concept of over-delivering, and to their incredible, dynamic employees. The regular faces in the company have been in the ranks for 4-10 years! Woot! Woot! Thanks, guys. Our 9,000 of pre-finishing facility and showroom are located at 76909 Gallatin Road (HWY 191). We are just south of mile marker 77, on the west side of the road. Drop in to see what top-secret stuff we’re working on! Your home is an important investment which requires proper care and maintenance in order to keep it looking, and you feeling, as good as possible. A professional paint job, from a qualified local Bozeman company, like Wagner Painting and Finishing, protects, revives, and enhances a home. 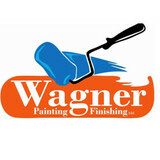 Wagner Painting and Finishing is a family owned and run professional painting business with 18+ years of experience painting in areas that can experience harsh weather throughout the year. We provide professional, quality, painting services at a fair price. 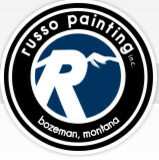 With over a decade of painting experience, Russo Painting Inc. provides a high quality paint job done with care. With the proper equipment and experience to get the job done right, we can take care of your interior and exterior painting needs. Russo Painting is skilled in a wide variety of painting techniques and procedures from new construction to restoration. Well versed in product knowledge, our passion is in historic preservation and restoration projects. We are also accomplished in refinishing woodwork and furniture, distressing furniture, and faux techniques. Russo Painting will pay attention to detail and will avoid issues you will see with other painters. We do the necessary prep work and use the proper products to ensure that your paint job will last and that it will be done right. Too many painters will do what it takes to “cover-up” your issues. Our approach is to ensure that our projects are prepped correctly and finished right, which ensures longer life and better appearance. We find it important that the job is done right from start to finish and are happy to explain to our clients the difference and show you how we complete our jobs. I create abstract murals on interior accent walls by combining paint colors--usually either monochromatic, analagous, or complimentary--along with built-up texture using drywall compound or spackle. I am not a traditional mural painter, you won't find any faux windows looking out over Tuscan landscapes or jungle scenes in my repertoire. But if you want insanely interesting, highly-textured accent walls that hold the gaze of onlookers, yours, your friends, guests, and visitors, well then look no further. I am a painter by profession. Recently moved from Williston, ND to the Bozeman,MT area. specializing in interior/exterior paint, new construction, remodels, staining, residential and commercial projects. More than a paint job...an experience! We measure success by how delighted you, our customer is with the results of your Bozeman painting project. Our goal is to make it more than a paint job; an experience that will encourage you to call again. Great People...Great Results! We believe that painting can be a wonderful trade to pursue. At Bennett Painting, we help our crews achieve that reality by supporting them with opportunities for learning and growth. The result is a motivated workforce that is a pleasure to be around. Ready for a Change? Our experienced Bozeman painters understand that a fresh coat of paint over a well-prepared surface, is like a new beginning. We enjoy delivering the change that can transform and protect your home or office.